Q: Where can I get free ESRI shape data for use with ScapeToad? There are some free geographic data available on several places on the net. You can find a list of them at Grass Wiki: Global Datasets (scroll down to the Vector data section). One of the dataset with the world boundaries has also been posted by thematicmapping.org. It is already in Shape file format and contains the population for each country. The simplified version is generally enough detailed. With the non-simplified version, you might run into memory problems when creating the cartogram. If you are an academic user and are looking for more specific data, you should contact the geographical department of your institute, school or university. If the specific data you are looking for is not readily available, your geographer collegues will most probably be able to assist you with a constitution of a choroplethe shape model of the spatial phenonenon which you are studying. Q: Why wasn't ScapeToad designed as an ESRI ArcGIS plugin? > Firstly, most open-source and proprietary Geographic Information Systems export and import in ESRI Shapefile format. Being designed as a stand-alone application makes ScapeToad usefull to users of MapInfo, Manifold, GRASS, uDig, qGIS, and of many other GIS's. > Secondly, its stand-alone structure allows us to fully controll the computing resources used by ScapeToad. 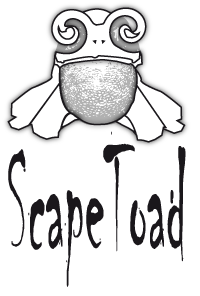 ScapeToad is much faster then existing plugin solutions. > Last but not least, being a standalone application also makes ScapeToad independent of the scripting environment of future ArcGIS versions: All you need to use it now and in the future is a Java virtual machine.